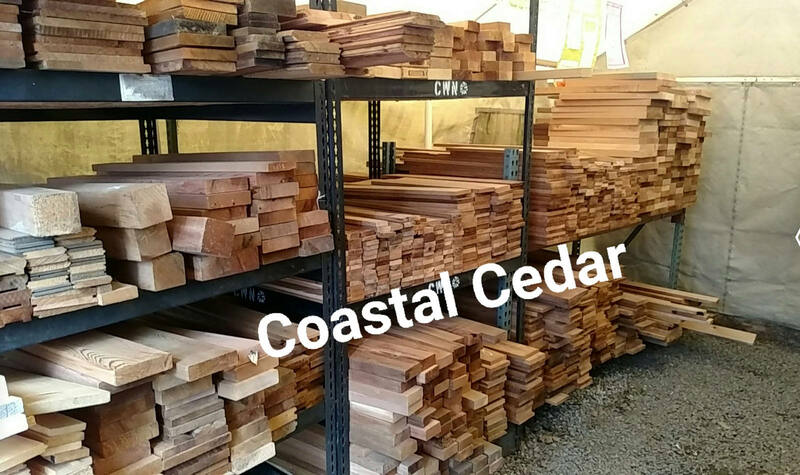 Western Red Cedar is one of the most popular exterior species of wood in North America. Considered one of nature's most remarkable building materials, with it's stunning beauty, distinct aroma, limitless versatility, Western Red Cedar has natural characteristics that make it an ideal material for outdoor living projects. Western Red Cedar is one of the most popular exterior species of wood in North America. Considered one of nature’s most remarkable building materials, with it’s stunning beauty, distinct aroma, limitless versatility, Western Red Cedar has natural characteristics that make it an ideal material for outdoor living projects. 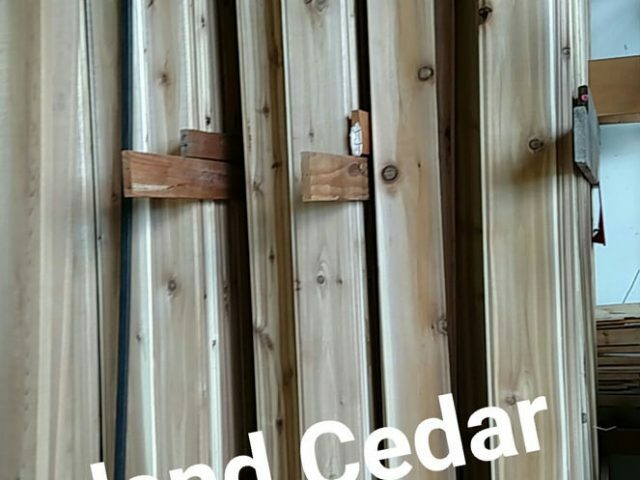 Cedar can be a confusing and often misunderstood species of lumber. Often varying wildly in color, scent, grain or fiber, and clarity, it is often considered 2 different species in one. 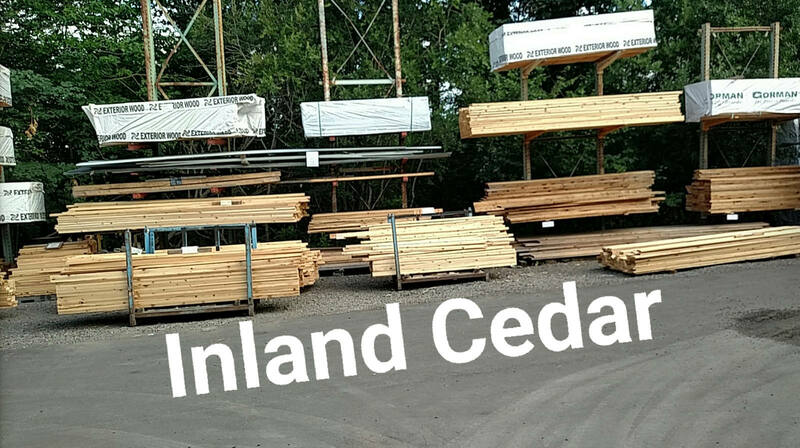 Inland vs. Coastal Cedar. Where the cedar tree grows is a huge factor in the appearance of the lumber. 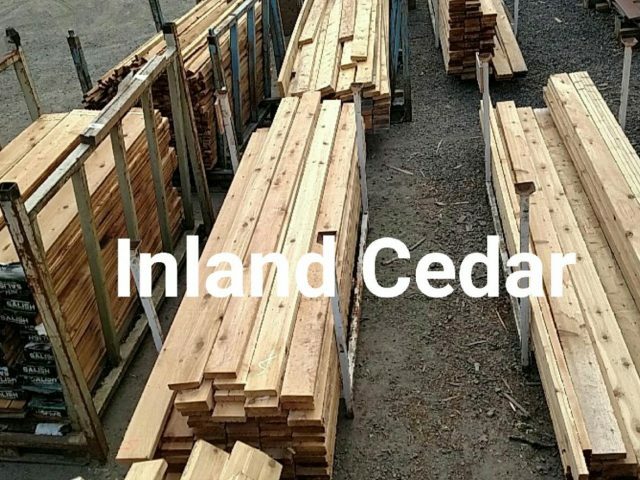 Most lumber yards or box-stores sell Western Red Cedar that is referred to as “Inland Red Cedar” or “Tight-Knot Cedar”. Even though it is the same species of tree as the more desirable “Coastal Fiber” version often used in saunas and high end applications, it is the same species of tree. 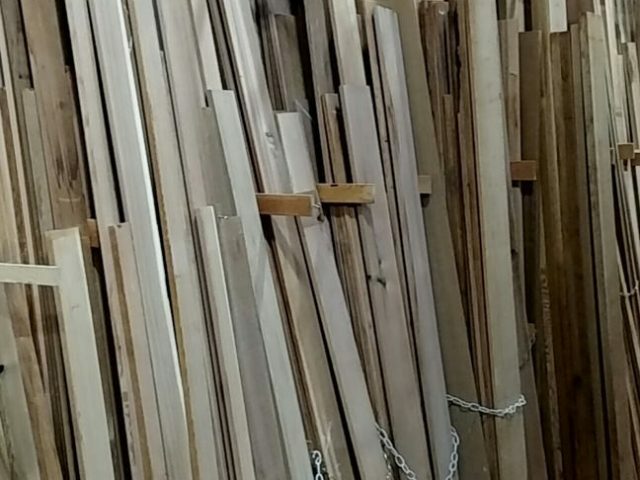 Used widely for exterior applications due to it’s natural decay resistance and beauty, it is one of the staples here at BMR- We typically have several semi-truck loads of this material in varying dimensions/ lengths available. Inland Cedar typically grows away from the coastal environment as the name suggests. 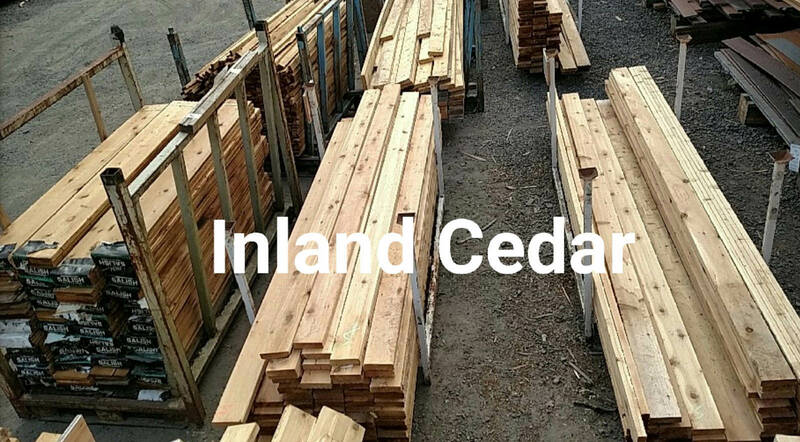 Inland cedar can be found all the way up to the western slopes of the Rocky Mountains- so you can imagine the different temperatures/ rain fall/ soil conditions/ growth rates affecting the overall appearance of the lumber. Inland trees typically do not grow very large and consequently produce more branches which leads to more knots. 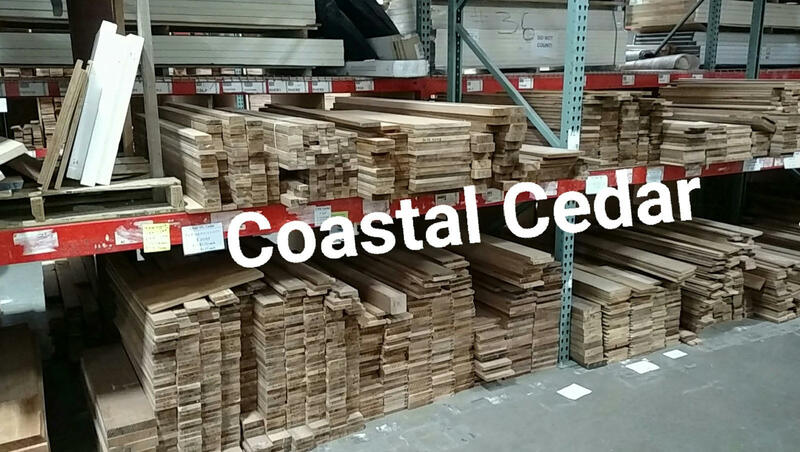 Most commonly used for decking, siding, and dimensional products (2×4, 2×6, etc.) 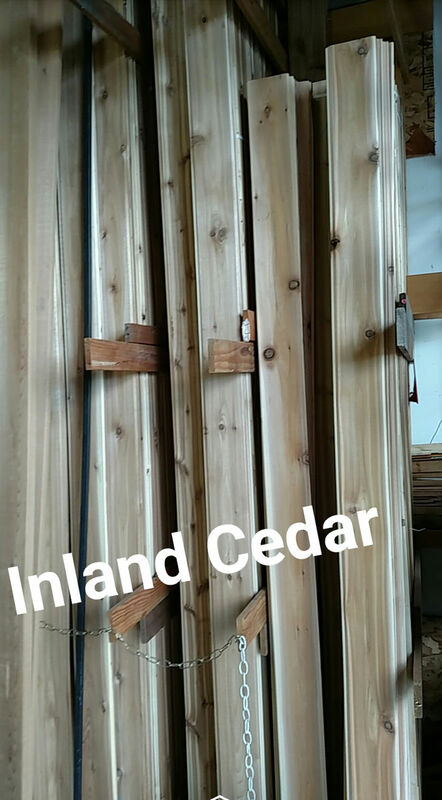 knots are usually allowed and “appearance grade” or “tight-knot” are considered higher grades of the Inland Cedar. 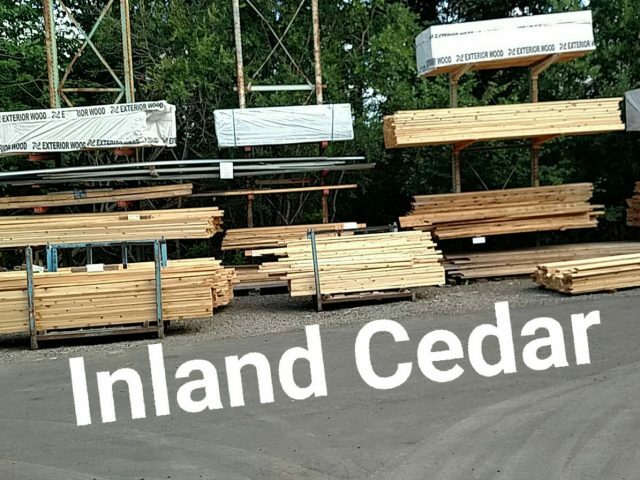 It has a more yellow tone and can sometimes be mistook for pine or can even in the lumber industry be disregarded as cedar, even though it is the same tree (just growing in a different climate) as the coastal cedar. Coastal Cedar trees typically grow quite large/ tall/ and often shows fewer knots. The color of the lumber tends to be a richer, darker more chocolate color and is very desirable. 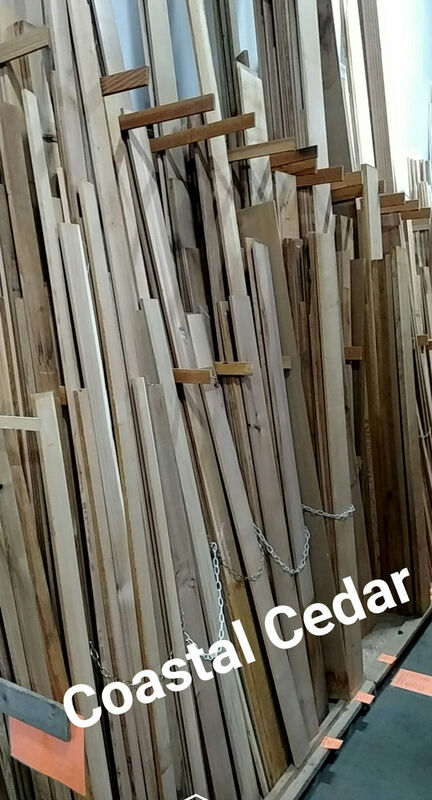 Often clear vertical grain lumber can be produced from the Coastal Cedar trees and it is absolutely beautiful! 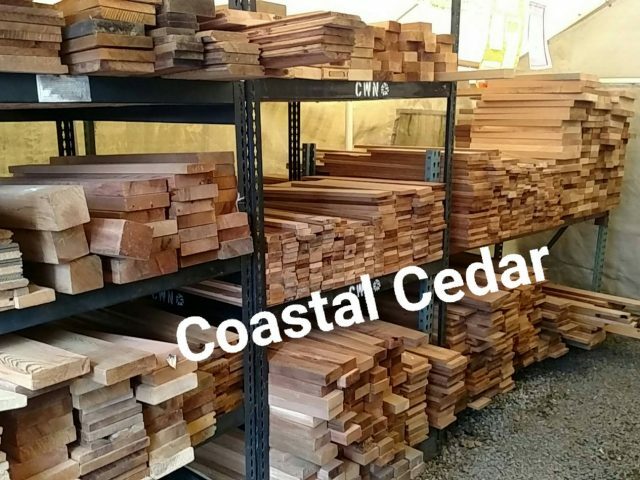 When ordering A&Better grade or Sauna Grade Cedar, Coastal Cedar is what you will get. 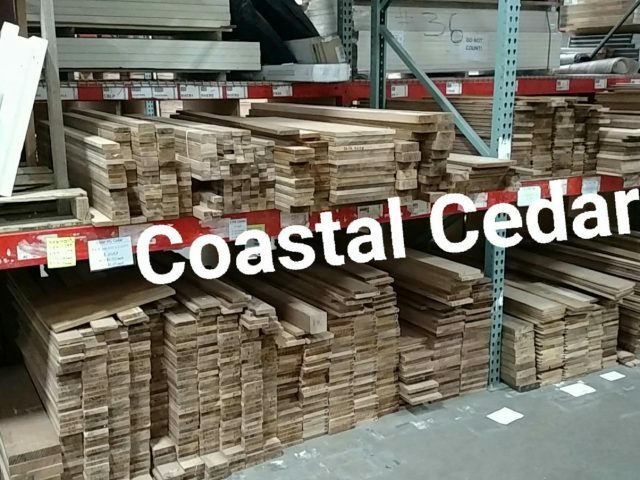 We have a wide variety of different dimensions of nice fine grain Coastal Cedar available at most times. Our inventory of this is ever changing. 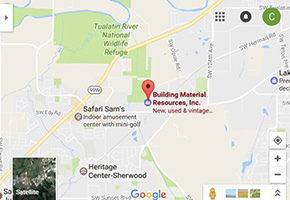 Due to the availability, quality, price of this lumber, customers often drive hours to get their needs here. Building a sauna? Needing a high quality finish for that project? Want to replace that old deck or fence? Want raised garden beds? Contact us for current availability and pricing. We might just have exactly what you want at a fraction of the price of going elsewhere.